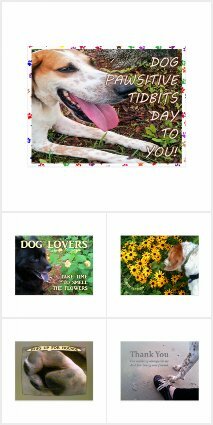 Some dogs run to the door and bark to let their owners know nature calls and they need to go out to potty. My dog does not. I did a bit of creative thinking while house-training my new dog Valentino. I needed to train him to let me know when nature is calling him. So, I hung a Christmas doorknob bell hanger on the inside of my front door. Within minutes, I heard the ringing of the bells. But of course, he was taking them down, with the thought of them becoming his newest chew toy, I imagine. I calmly said, "No," as I returned them to the doorknob. We did this a few times until Valentino settled in for a nap as I worked on my computer. When my dog awoke I knew he would need to go out, as always, but this time I continued my work online. Of course, I lent an ear for bells in the background and I had my cell phone camera ready for the ringing of the bells. Sure enough, it worked! Only this time Valentino did it right. He nudged the hanging bells with his nose, sat down in front of the door, and peered through the cutout in the wall to see if I might be listening. From me he got a "Good boy!" And out the door we went to respond to nature's call. For a few days this became a game and I heard those jingle bells ring more often than need be. After a few days he finally understood that I as trainer knew when he really needed to go out. Now, he uses his door bells only when nature calls. 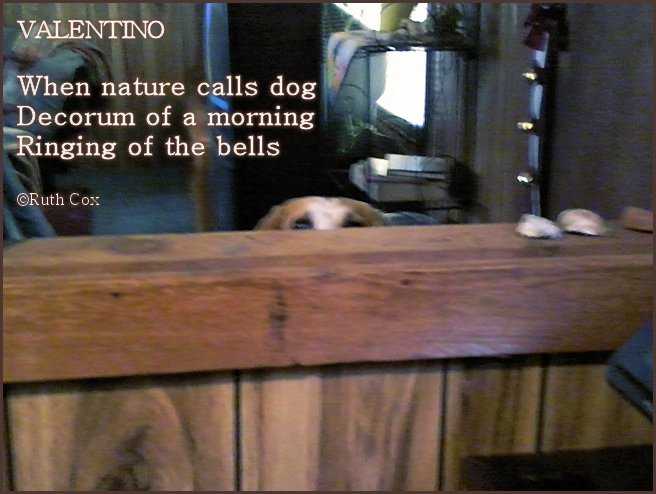 And you can bet Valentino rings my bell first thing of a morning! I did some checking and discovered this delightful (Made in the USA) dog potty training doorbell. 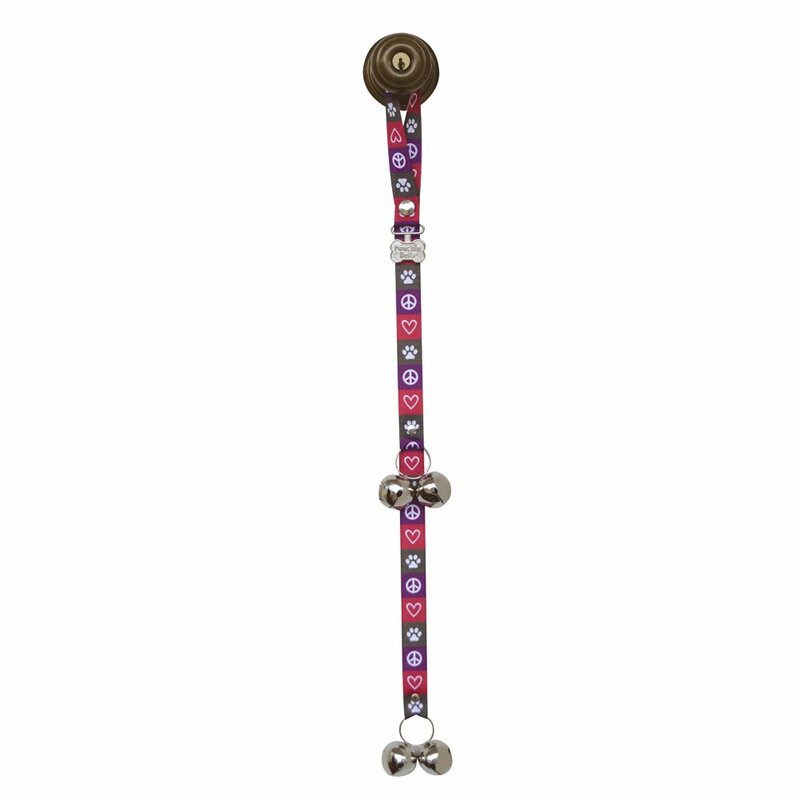 You can bet I'll soon replace my Christmas doorknob hanger with these dog friendly bells as a functional piece of dog decor for my door. How does your dog let you know when nature is calling him to take care of business? Do you have a dog training tale to share? 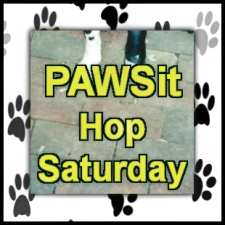 Join us each week here at Dog Pawsitive Tidbits for PAWSit Hop Saturday, a blog hop where we blog anything and everything about our dogs! Fetch the PAWSit InLinkz code for your blog post.